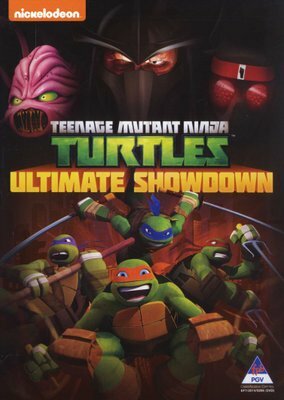 The remaining six episodes from the first series of the children's CGI-animated cartoon tracing the origins of the sewer-dwelling, superhero foursome Leonardo, Donatello, Raphael and Michelangelo. 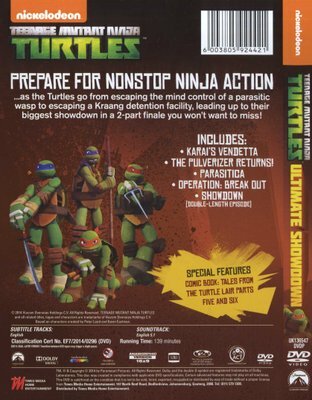 The episodes are: 'Karai's Vendetta', 'Pulverizer Returns! ', 'Parasitica', 'Operation: Break Out', 'Showdown: Part 1' and 'Showdown: Part 2'.